As you will have seen in my post here I decided to only use products that don’t contain sodium lauryl sulphate. If you want to know why I have decided to try to avoid sodium lauryl sulphate and want to know what it is then have a read here. I had been using the Moroccan Oil shampoo and conditioner for around about a year but when I decided to be sodium lauryl sulphate free and had a look through all of my products for the ingredient, I discovered Moroccan Oil unfortunately has sodium lauryl sulphate in it. 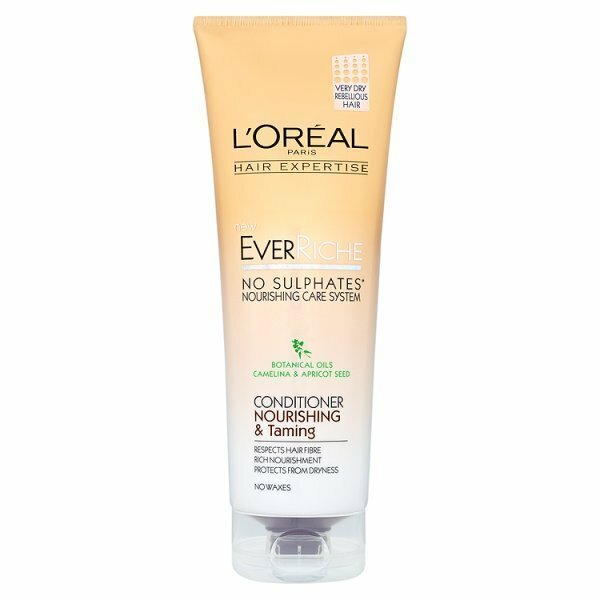 After doing some research online, I discovered that L’Oreal have a range of shampoo and conditioners that contain no sulphate, called L'Oreal Hair Expertise. Even more of a bonus, was the fact that the shampoo is only £5.99 at Boots, compared to me usually paying around £18.00 for my Moroccan Oil shampoo. 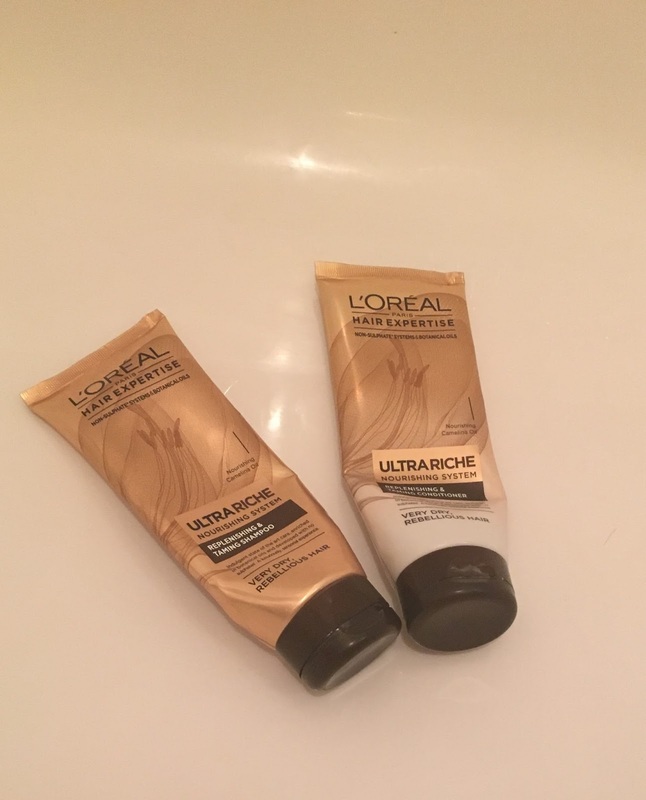 I decided to buy both the shampoo and conditioner and have just finished my second bottle of each, so I thought it was time for me to review these products for you. First of all the shampoo. I do like this shampoo. I find you only have to use a small amount and that is enough, even with my think long hair. It also is very foaming which surprised me considering it doesn't contain sodium lauryl sulphate, which is the foaming agent used in most shampoos. My scalp was still a little sensitive after use but it didn’t itch half as much as it did before. I would definitively recommend this product, and I have actually, my mother now uses it herself. The conditioner however, isn't as good in my opinion. 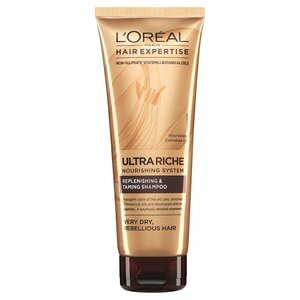 It may work perfectly for other people but for me it just didn't moisturise my dry and damaged hair enough. My hair wasn't as smooth and sleek as usual after styling. My hair looked slightly damaged and you could tell how dry it was, rather than disguising my damaged hair like most conditioners I have used. 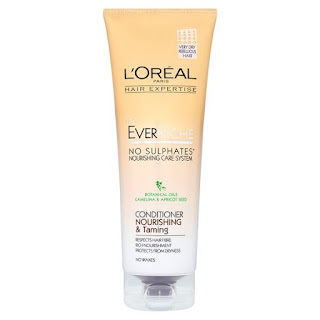 Even though I am happy with the L'Oreal Hair Expertise shampoo, I am still trying out various different natural shampoo and conditioners to find one that suits my hair perfectly. Have you used this shampoo or conditioner? Are there any shampoos or conditioners you would recommend that do not contain sodium lauryl sulphate? Love L'Oreal products! Thanks for this wonderful review! I seriously love these products! I always love finding out about products that are nasty free! I need the shampoo, but like you, my hair is pretty damaged at the moment so would need something else to condition it! Hmm, a little shame about the conditioner, but the shampoo sounds fantastic! 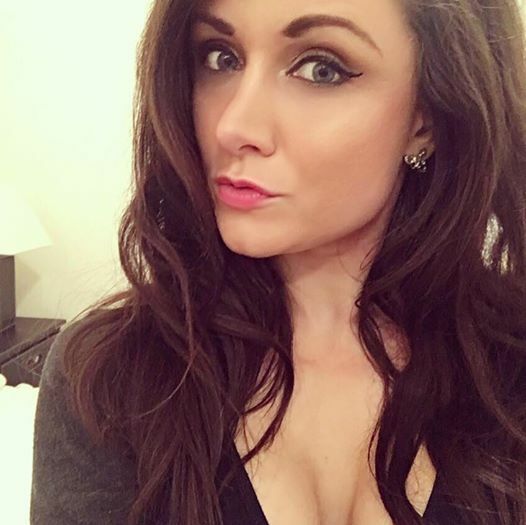 L'Oreal has always been my go to for shampoo, though! used to love this shampoo but i switched to tigi s factor now. Very Interesting Post. Ich habe darüber fragen und über deine so dass es verständlich ist, geschrieben. Danke.